Planning a spring break getaway from the cold? Before you leave the country, know how to avoid falling victim to fraud—so your vacation can remain just that. 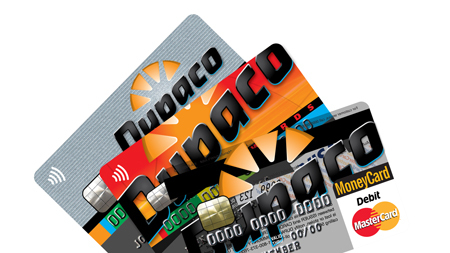 Plan to take more than one form of payment, and make sure each type can make purchases and get money, said Carrie Culbertson, senior card services representative at Dupaco’s Pennsylvania branch in Dubuque, Iowa. EMV cards offer better protection against card fraud compared to magnetic stripe cards. Find out what international fees your card issuers charge so you know what to expect. Tell your card issuers when and where you will be traveling, so your cards will continue to work while you are away, Culbertson said. You can use Shine Mobile Banking within Dupaco's app to notify Dupaco of upcoming travel plans to prevent fraud protection services from blocking use of your Dupaco MoneyCard and VISA credit card. Use Dupaco’s eNotifier Alerts to monitor activity on your accounts as it happens. Save the phone numbers for your card issuers in your phone in case you need to report a card stolen or lost. “If you lose your card, you lose that card number on the back of it,” Culbertson said. Dupaco’s Family ID Restoration fraud-recovery program can help you respond to identity theft and fraud. “You want to have that protection before you travel,” Culbertson said. For better protection against card fraud, utilize EMV cards, your mobile wallet or tap and go payments. Plan to use the same ATM during your trip—preferably one that is at your resort or a nearby financial institution. “If you always use the same one, it will be easier to recognize if something looks out of sorts with the machine,” Culbertson said. Even when you’re away, it’s important to be on the lookout for skimming devices, which fraudsters attach to card readers to make counterfeit cards. If you lose your card or notice suspicious activity on your account, notify your card issuer immediately. Keep watching your eNotifier Alerts and statements, and report any suspicious activity to your card issuer immediately. “Members can notice suspicious activity even months after they return,” Culbertson said.